African mango (Irvingia gabonensis) is a natural substance often marketed as a weight-loss aid. African mango supplements typically contain extracts of the seeds of the African mango tree (a plant native to West Africa). African mango seeds are known to contain a variety of nutrients, including fiber, amino acids, essential fatty acids, and minerals. In alternative medicine, African mango is purported to promote weight loss by suppressing appetite, speeding up metabolism and preventing fat buildup. In addition, some proponents claim that African mango can help treat certain health problems, such as high cholesterol and diabetes. 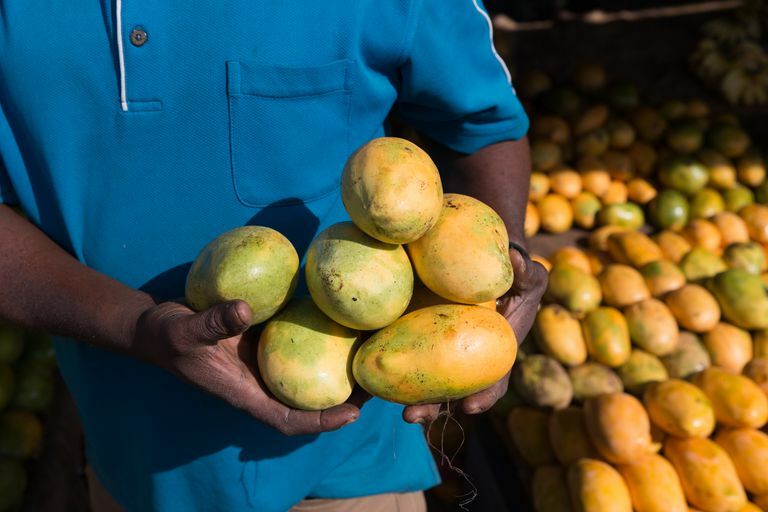 To date, few scientific studies have tested the health effects of African mango. However, some research suggests that African mango may help protect against obesity and enhance metabolic health. For instance, in a 2009 study in Lipids in Health and Disease, researchers found that participants who took African mango every day for 10 weeks experienced significant improvements in body weight, body fat, waist size, cholesterol levels, blood sugar levels and levels of C-reactive protein (a marker of inflammation). The study involved 102 healthy overweight or obese people; half of the participants received African mango, while the other half were given a placebo. Additionally, a 2008 study in Lipids in Health and Disease indicated that taking a combination of African mango and cissus (an herb long used in Ayurvedic medicine) may help fight obesity. Every day for 10 weeks, 72 obese or overweight participants took capsules containing one of three substances: a placebo, the African mango/cissus combination or cissus alone. By the study's end, members of the African mango/cissus group showed the greatest reductions in body weight, body fat, waist size, and cholesterol levels. In animal-based research, scientists have determined that African mango may fight obesity by inhibiting the development of fat cells. Little is known about the safety of long-term use of African mango. There's some evidence that African mango may trigger mild side effects, such as a headache, dry mouth, sleep disturbance, and gastrointestinal problems. Widely available for purchase online, supplements containing African mango are sold in many natural-food stores and in stores specializing in dietary supplements. Due to a lack of supporting research, it's too soon to recommend African Mango as a treatment for weight loss. If you're looking to lose weight, the National Institutes of Health recommends following a weight-management plan that pairs healthy eating with regular exercise. Keeping a food diary, getting eight hours of sleep each night, and managing your stress may also help you reach and maintain a healthy weight. If you're considering the use of African mango for a condition (such as diabetes), make sure to consult your physician before starting your supplement regimen. Self-treating a condition with African mango and avoiding or delaying standard care may have serious consequences. National Institutes of Health. "Weight-Control Information Network - Weight Loss for Life". NIH Publication No. 04–3700. January 2009. Ngondi JL, Etoundi BC, Nyangono CB, Mbofung CM, Oben JE. "IGOB131, a novel seed extract of the West African plant Irvingia gabonensis, significantly reduces body weight and improves metabolic parameters in overweight humans in a randomized double-blind placebo controlled investigation." Lipids Health Dis. 2009 Mar 2;8:7. Oben JE, Ngondi JL, Blum K. "Inhibition of Irvingia gabonensis seed extract (OB131) on adipogenesis as mediated via down-regulation of the PPARgamma and leptin genes and up-regulation of the adiponectin gene." Lipids Health Dis. 2008 Nov 13;7:44. Oben JE, Ngondi JL, Momo CN, Agbor GA, Sobgui CS. "The use of a Cissus quadrangularis/Irvingia gabonensis combination in the management of weight loss: a double-blind placebo-controlled study." Lipids Health Dis. 2008 Mar 31;7:12.